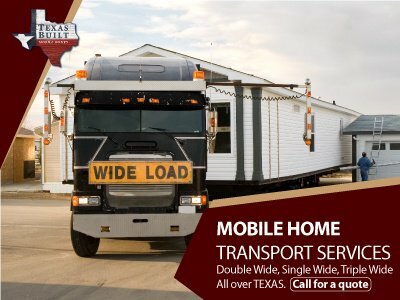 We at Texas Built are proud to have our own in-house transportation company, with our own customers as their top priority. We can assist you with the complete delivery and setup of your new home, including driveways, deck skirting, set up, finishing work, and utilities. When you purchase a new home from us, you won’t need to look elsewhere for any of these services—we’ll provide them all for you. If you’re a current homeowner in need of these services, we’re here to help you, too! We can also relevel single, double, and triple wide manufactured homes. If you’re experiencing stuck doors, squeaks, bumps, jumps, or slants, we can make it right.